Artwork by the talented Logan Pyle. But a year later, I felt like I was Dorothy in The Wizard of Oz, trying desperately to tap my heels together three times to get back home. Shoot, forget tapping, I was banging those things together until all the ruby glitter became a pile of dust. Because somehow my life got all jacked up, as a massive “tornado” ripped through my land. My new reality was heartbreaking. My dad – who had just walked me down the aisle – was gone… he died at the age of 49. Nine months later, I stood over my husband’s casket. James – the funny one, the kind one, the one with so much potential, and the one I was ready to share babies and dentures with (not at the same time)… gone at the age of 22. And on top of that, the same canoeing accident that took my James, also left its mark on my sister Holly. She experienced the same loss as death ripped her beloved husband, Scott, away. Three widows, one family… now under one roof. I want to highlight the 9 months between losing my dad and losing my husband. Go back with me for a moment to the days following my dad’s death. 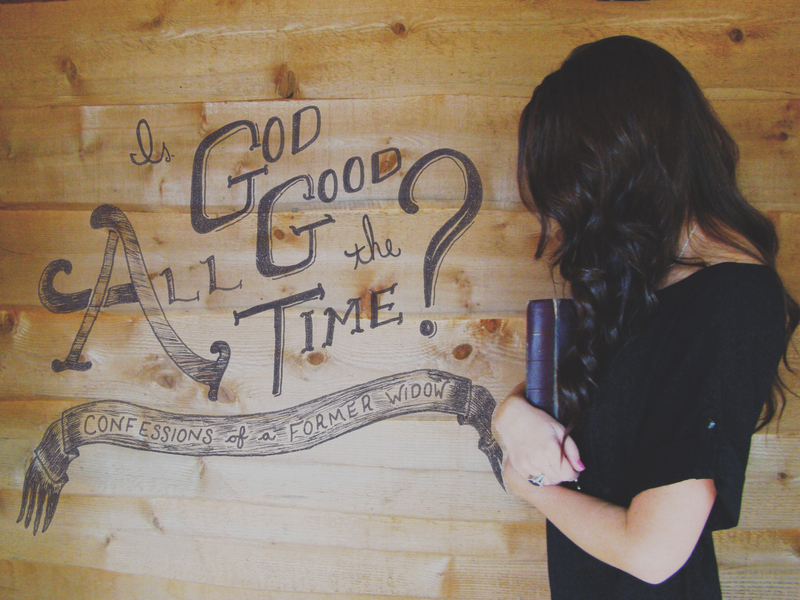 The truth is, this professing Christian, who went to church and asked Jesus in her heart, was now asking herself “Is God good… ALL the time?” Because it sure didn’t feel like it. In my mind, I could not reconcile my pain with His all-the-time good. I was broken. I was sad. Indeed, in hindsight, I was prideful to think that He owed me a life of ease—of no hardships. But if I were to be honest, that’s what I believed. My response to my father’s death flushed out this belief: I knew better than God. He should’ve healed my father, for crying out loud! He messed up. Here I was a newlywed. I was supposed to be embracing this season of possibilities and yet I was becoming a very angry, pessimistic adult. I was mad at God. I was wrestling with all the things I had always been taught about Him. This anger led to bitterness and this bitterness was seeping into every area of my life: my marriage, my relationships, how I ate, what I thought about, how I responded to the normal ups and downs of life, and how I spent money. This question was eating me up. James struggled with how to help me. He listened to my rants and then pointed me to Jesus. He was concerned, “Sweetie, you grieve as if you have no hope.” It was true. I had no hope. When I had placed my hope and faith in Christ, I had obviously attached a few conditions of my own to the deal. God was not silent during this season, yet I did everything I could to silence Him. He still offered me His divine comfort, but I refused it. After nine months of licking my wounds and telling God what I thought of His will, I received news that James was gone. This was my breaking point with God. I was ready to once and for all denounce my faith in God. I didn’t doubt that He existed; I was just done. I didn’t like Him and didn’t want to have anything to do with a God like this. I remember standing alone on a hillside in Vermont. Well… not quite alone. The Creator of the universe was there. I was broken and dealing with the kind of pain that makes me want to throw up even now. Today, thirteen years later, I still struggle with putting words to this moment because something happened to me on that hillside. I stood before God feeling justified in all my accusations, but as mad as I was that He would let this happen, I could not deny that God was near and that He cared. James had drowned that day. And the fact was, the previous 9 months, I had slowly been drowning as well—in my bitterness. But on that hillside, I started experiencing new waves. God’s Love was like the ocean. Wave after wave pulling me away from shore—my security, my reasoning, my stability. And His rushing water – not violent – but intense nonetheless, ushered in peace and comfort again and again. Grief had her own waves and fought to take me captive into her embrace. The waters battled for my soul. Me & my boys today. With tears streaming down my cheeks—YES! He is. There are things we will never reconcile in our minds. The sin that is prevalent. The depravity. The disease. The head-shaking-mind-wrecking stories we encounter everyday. We don’t get it. I don’t get it. But that doesn’t change the truth—God is always good. I walked away from that hillside different. The anger I had been nursing like a bleeding wound was no longer holding me. He was holding me. I, maybe even for the first time, understood a fraction of His love for His created, and I was humbled. My choice to bow to His Lordship – come what may with no terms and no stipulations – ushered in a peace despite my pain. I was all in. Like I said before, I cried through my twenties. Now, I’m crying in my thirties. I’m a crybaby. So what. I’m not ashamed. Dwelling on His unconditional, ever-pursuing, never-changing, patient, out-of-this-world love makes me weepy. I said some horrible things to Him and about Him. He forgave me. I wanted nothing to do with Him. He sought me. I was chained to what could-a-should-a-been. He freed me. So take it from the widowed, the cancer patient, the adulteress, the sexually assaulted, the fatherless, the betrayed, the lonely, the addict, the weirdo… (and that’s just my immediate family): He is good—all the time. Start where you are, and chase after Him as fast as you can. You can also watch our story here. Or follow our blog here. Wow, this is so beautiful. A friend of mine put this up on facebook and then told me I am required to read it. I am so glad. As one who lost a father, a cousin who was one of my best friends,a sister, and a newborn niece, I have been there. I’ve shaken my fist at God and then listened as He patiently waited out my anger and my complaints only to wrap me in His loving arms and comfort me in the stillness. I may not always know what He is doing, but I am confident that He truly is, always, good. I had plans for what I was going to write for Saturday but after reading this… my plans can wait. I don’t often reblog others, but this is most definitely worth the read. Thanks for sharing! He deserves all honor and glory! I am sitting awake at my daughter’s home, she,her husband and my grandson are sleeping. I am awake, so I turn on my laptop finish reading the blogs I follow. I never expected to see this post, but I am grateful that I have. For the past two and half plus years my husband has been ill with something, but we dont’ know what. I have trusted and prayed and believed for good things. None have come, just more news, not horrible, not great, just more of the same unanswered stuff. I have talked with a dear friend who loves the Lord as much as I… but I confessed to her that I had lost my joy and have no hope. Thank you for this post. I need to see that hope can be restored (although after almost 40 years of following the Lord, I know that). I need to read and see examples of restoration. Thank you for your honesty. My heart breaks for you and your family. I remember many a night, awake, begging God to change my circumstances. It truly is a journey walking the road of suffering in the midst of this broken world, hand-in-hand with broken people. ONE day… it will make sense, we will be fully restored, our tears will be NO MORE! But until then, we press on, we throw off all the sin that so easily entangles us, and we run the race that is before us. Keep running, my friend! He is worth it! You know it! He is strong when we are weak. His grace is indeed sufficient! Praying for you right now! thank you for your prayers. I receive them and know that our Lord will answer and be a ready source for me. I have thought of you so often since reading your post. My heart both aches and rejoices for you. 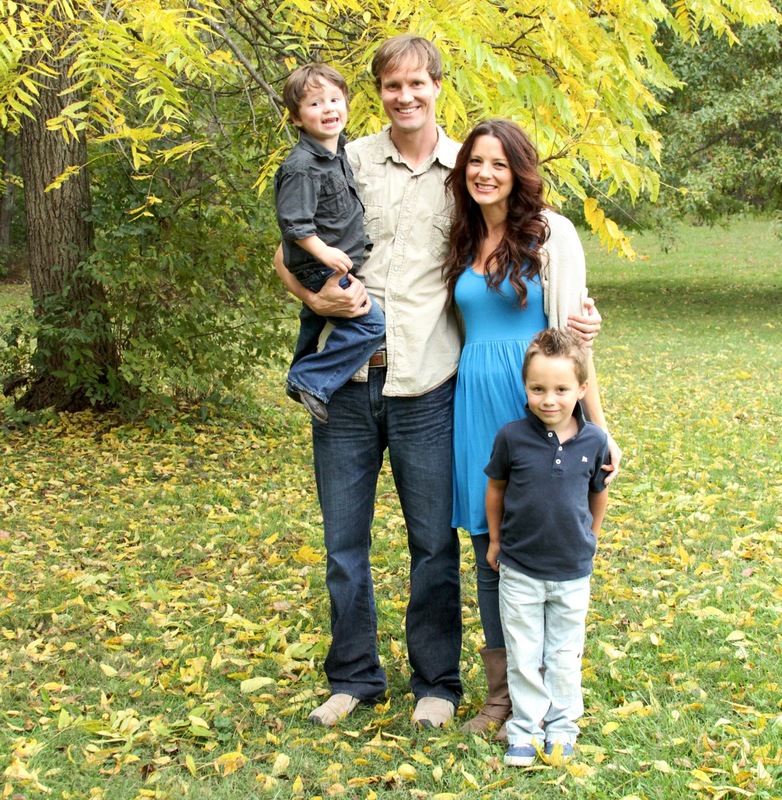 Thank you for sharing your story… it is a testimony of victory in our Lord. It is encouraging and it does bring hope. Thank you. Thanks to BJ at TheRiverWalk, I came across this blog post. No words can describe in depth, my appreciation, for Heather sharing her experience. This is definitely worth reading. Thanks for sharing this story with others! I pray that is an encouragement to others as they stand at their crossroads. Thanks for sharing! It is an encouragement to my soul as I hear how God continues to use James’ life and death to bring about beautiful things. What a gift you’ve been given! Thank you for putting words to the “knowing” I’ve had for more than 30 years and have never been able to express this beautifully. Thank you for sharing this with your blogging community. I pray that shines light on the cross and what He longs to do in a life that says YES to Him! WOW! Praying for you, my friend. I understand… Hope in Christ and Christ alone will never disappoint. It almost feels like I’m spouting out a Christian cliche, but it is truth! Cling to Him with all you’ve got! Praying for peace to reign and hope to rise up as you follow God with abandonment. I am sobbing. This is so powerful. So bitter sweet. I am so thankful that our Good God has restored the years the locust has eaten for you. Your story is tragic yet, you are using it to proclaim His love and healing power in a bent and crooked world. We’ll done faithful servant! The light you are shining and more importantly His Light you are pointing to will undoubtedly aid in healing others. I will re blog this with your permission. Blessings to you and your family. setyourpathsstraight.wordpress.com! You have encouraged my heart by all the sweet Scripture you spoke over me! Thank you. You are more than welcome to share this on your blog! I’d be honored. To Him be all glory! So beautifully written, and your words could have been mine, but from a man who is not supposed to cry. I lost a dear wife to cancer, much too young, but older than your experience. I had those shouting arguments with God too, but isn’t He the gracious one? Thank you for sharing, and may God continue to bless you, because He is already! David. David, He is indeed gracious to let us spout off unreasonable things, and yet loves us enough to keep speaking truth over our lives. Allowing us to suffer actually is very merciful on His part, for without it we would consider ourselves invincible and without need of Him. It was a wake up call, no doubt, that I now look upon as grace from the Most High. Blessings to you, my friend. I pray that it has been an encouragement to your blogging family. Thanks for sharing! Thanks so much. It so encouraged me to hear the hope in your story! There’s just something about the geographical wonder that is Vermont, and the way God shows up, even in the midst of darkness and deepest grief. Absolutely inspiring….i want more ! You are very kind. Glad you are sticking around 😉 We are trying to put words on paper as we share our journey of living life with God. He’s too much! Too much! Thank you so much for sharing this post with your blogging family! I’m honored! I stumbled on this blog post and was deeply touched. I just had to share it! Thank you. Thank you! He deserves the limelight! Thank you for sharing your story. After being lowered to the pit in my own life and rescued by the Lord, I have noticed a common theme in others’ accounts of being at “rock bottom” – the felt presence of God and a vivid, personal knowing of his love. All of our doubts, questions, accusations, fears and anger find their answer in his presence and love. God is good – all the time! YES! I absolutely agree. It is His grace to love us in this way. Reblogged this on | Adrian D. Riojas |. Thanks for sharing this with your peeps 😉 It is truly an honor to have others read my account of the nearness of God. Anytime. Thx to u as we’ll. This is a beautifully written story. It shows how much our Father truly does love us. Thanks for sharing this with your blogging community. Yes, the Ultimate Father! There’s nothing like Him… nothing. Wow wow wow wow this is so good. Thank you for sharing this post with others. I’m still in awe of how He got this post in front of people. To Him be all gory and honor and praise. Forevermore! Reblog he’d and shared on Facebook…this needs to touch many lives. This is such a beautiful and powerful message.. You stopped looking to what is seen and started looking to what is unseen.. You are pointing me to Christ.. God bless you more! Please take some time to read this message.. It is worth every minute of your time! THANK YOU! May God use this testimony however He so chooses. My mission is to speak a better word than what the world is selling. Bought that lie for far too long. There is freedom and it is only found at the cross of Christ. Thanks to following BJ from The River Walk blog, I came upon this. God is Good all the time. Reading the part of your experience on the hill, my chest was so constricted. I have no words…and isn’t it fantastic that once we give our life to God, nothing can separate us? Not even our own stubbornness. I am so happy that you felt his wave of love, God bless you and your family. I pray that you guys sing his praises through your love and talent, always. In Jesus’ name, amen. I am glad you had your ‘face off’ with God. It started your healing. God Bless You! Haha! I keep thinking about your comment! I LOVE it! I’m a different girl than I once was. The bravery surprises me at times… I KNOW that it’s His Spirit within me, empowering me to do things that are beyond me! How great is our God? I’m addicted. I want more! HE is great…good and addictive. He will empower you even more. I am crying after reading that, and filled with hope and love. Thank you so much for sharing your story. God is good. Yes, I feel like I’ve become a spokesperson for Jesus–to speak to those that walk around angry at God. Thank you for encouraging my heart and taking time to leave a comment. All these comments have been overwhelming as the Lord continues to bring beauty from my ashes. Press on, friend. Thank you, Rae. His “otherness” is what can leave me with a million questions. That’s where my faith begins to rise up. Thanks for commenting… God has used it to strengthen my heart today! I wish I had the time to respond to each and every comment on here that we’ve received! Let me tell you that our kind God used your words to fan the flame in our hearts today! Holly and I are in little old Chillicothe, Missouri, sharing this weekend! We woke up this morning to an explosion on our blog. Thank you for commenting… for encouraging our hearts… for reblogging! Super duper thankful to be a part of shining a light on the cross of Christ! Love and hugs to each and every one of you! Wow, just what I needed to hear as I too am dealing with the pride of thinking that God owes me a life with no hardships. I am running to Him now, but ran from Him for a long time. Within the last two years I have had 6 surgeries, cancer, chemo, lost my brother at 49, lost my job, my home and my husband left me. I can say without any hesitation God is good all the time. Thank God that He loves us so much and is patient with us. He is still working on me. It is by His Grace that I am set free from my anger, bitterness and sin. Thank you so much for sharing your story. May God continue to bless you!! Sweet, Tammy! Ugh… my heart was on overload as I read a glimpse into your road of suffering. One day our tears will be NO MORE, the weight of this world–NO MORE… what a glorious day that will be! Can’t even wrap my brain around how it will feel to be completely in the know. I heard the most beautiful quote the other day, “God will only give you what you would have asked for if you knew everything he knows” If we knew everything HE KNOWS, we would be asking for what He has given us… that includes the suffering. Hang in there, friend. Thank you for sharing this with others! To God be ALL glory! Thank you for sharing with your blogging family! Reblogged this on Janny Revealed. I don’t think I’ve ever met a Janny! Thanks for sharing with your blogging community. Honored. Thank you for sharing your testimony. Testimonies, as I am learning, give others strength and a fresh new hope. Such a power, beautifully written, and encouraging word. Thank you for allowing yourself to be vulnerable and sharing your heart. LOVE your blog title! Haha! That’s funny. Thanks for sharing this post on your blog. God is crazy good! Thank you for sharing your journey. It honest, and full of Truth. Even in the midst of horrendous pain, there is a wonderful, beautiful love. Seven years ago, the man I thought I was going to marry died. It’s been difficult for me because I had so many dreams and hopes wrapped up into our future. And when we buried him, its as if those very dreams were buried too. And now, to be nearing my 30th birthday, and to still be single and not have that family I would so much love– breaks me all over again.I do not doubt Gods nearness. Some days, most days, its hard to admit to His goodness, but I know it to be true. I’m in this difficult process, but the past few months God gave me the beautiful picture of the diamond. It is formed under sever pressure, then chipped and mined out of hard rock. Then, it must be chipped at some more and then cut– and in those cuts they make the diamond sparkle. My heart is comforted knowing, I’m going to come out of this sparkling. Holly, that is so beautiful! I am so sorry for what you have/and are going through. But I am confident… He is writing your story and takes GREAT delight in making all things NEW! Praying for you, my friend. Thank you for praying and your words of encouragement– those are very much appreciated! You made me teary! Heaven will be sweet, won’t it? But until then we walk our roads–Begging our God to never leave us or forsake us… in which He replies, “Leaving is not even an option! I’m not going anywhere!” His nearness is for our good! What a beautiful story of faith. A year and a half ago I lost my husband of 31 years to a drowning also. I can totally relate with the analogy “God’s love is like the ocean”. Thank you for sharing and yes, God is good…….All the time. Reblogged this on The Rich Life. Thanks for sharing, friend! I hope it’s been an encouragement to your readers! I was touched by how you said God whispered these words, “You can trust me.” into your soul. Yes HE can be trusted even in times of discouragements, depressing moments, when we doubt of HIS existence or HIS goodness and mercy. He is merciful and is willing to listen to our cry. I firmly believe in HIS words and promises…Let’s sing Psalms 138:1-8 in our own soul’s melody. Great is thy faithfulness! Great is His faithfulness. He never leaves. Never disappoints. Never forgets. In Him is fullness of joy! It reminds me why human beings have faith in the first place. Faith is so complex, yet is so simple all together. Definitely looking forward to the day that my faith is made sight, but until then I lean in towards the unseen and learn how to hear the Voice that speaks truth and life into my soul. Thanks for commenting! I certainly envy your unshakable faith. My grandfather had that and it really brought him a peace that I try to match. I really admire your positivity. God bless you. WOW…..It’s really very interesting.Nice to see your blog.Beautiful !!!!!!!!!!!!!!!!! Heather, I found you through Missouri Women Bloggers, but I think we have several mutual friends at JRA. I have heard your story in bits and pieces. This post was beautifully written; thank you for opening your heart to us all. This is a topic I just wrote about as I face a recent cancer diagnosis. I hope you don’t mind…I have linked to your article in my post. I wanted others to see how beautifully you express your hope in God’s goodness. Thank you. Nancy, hello! I’m honored that I can join you in sharing the hope we have found in Christ. I’m definitely heavy-hearted to hear your news. LOVED your post! Praying as this series unveils what God Himself speaks to your heart. Can’t wait to read more from you. You’ll have to pm message me… do you live in Ozark? You look so familiar! I feel like we’ve been crossing paths! Thanks for dropping by and for following! somehow this came up today as I did an internet search….I was 29 when I lost my husband to a car accident. I too have stuggle off and on for years with my loss, I have two sons and now 23 years later 3 grandchildren. I do believe God is Good…all the time…..but some days are harder than others to live by my belief and not question….but faith and his love has brought me to a place that I thank the lord for all I have. I’m so glad you stumbled upon the blog, Barb. Thank you for sharing a piece of your journey with me. It sounds like He has redeemed your life (physically and spiritually). Hugs to you, Barb. Today I threw a tantrum at God because my life is in total chaos and i don’t seem to be getting a break any time soon. But i came across your blog and am deeply touched and comforted that we all struggle at some point. I hope he can forgive me for being so selfish. Jose, He can and will forgive you when you ask. Been there, my friend… Been there. I am sorry you are suffering. I am praying that it leads you right into His arms. How I wish I could say fully “God is good…all the time”. I just don’t believe it anymore. I believe he is good, but not all the time, and certainly not to everyone. And the more I experience and search for him, the more I feel like the loser in high school trying to get the cool kids attention. And when he needs some entertainment, he back hands me and and laughs with his buddies as I fall down again. I watch as he and his congregation celebrate how great life is and preach about it. But I do not experience it. Ever since I started searching for him I’ve only experienced misery, sorrow and pain. I don’t know why I try anymore. The more I discover god the more I want to go to hell. This breaks my heart. I am so sorry this is how you feel. I know how suffering can make it hard to really see and understand His love. But for me… suffering, losing, heart break, brought me face to face with His nearness. And this forever changed me. I know I can’t convince you, but I can only plead with you to not stop pursuing and seeking out the truth of who He is, His character, and His real love for you. He does love you. He does. This is also my experience. I’m surrounded by family and friends who tell me how much of a comfort their faith is, but my faith has never been that. It has always been a desperate attempt to beg God to show me the kind of love he shows others. But God is silent is distant and I’m tired of trying to get his attention. God is obviously good to some people, but not to me. I do understand what you’re describing. I’ve been there too. I hope in time you can see His great love for you. Sometimes the “good” we are seeking become gods to us… we set them as the prize when the prize is just knowing Him. Hang in there, friend. Don’t give up seeking the One true God. I just finished reading your devotion . This resonates with me so very much. I too have been to that lonely place where I was angry at God and then through time and Gods intervention in numerous ways , He brought me back to Him and into a beautiful relationship with Him. Having gone through all the hard times has taught me so very much. I’ve learned what is important in life and to look for the opportunities available to me that otherwise would not have been . I have a desire to look for hurting individuals and try to be there for them. I usually want to keep things to myself, but realize and even yearn to share with others my story of going from anger to the realization that God is always good. What a miracle to experience life to its fullest with all of its ups and downs and feel that it is well with my soul and that I have a sweet peace given to me from my Lord !